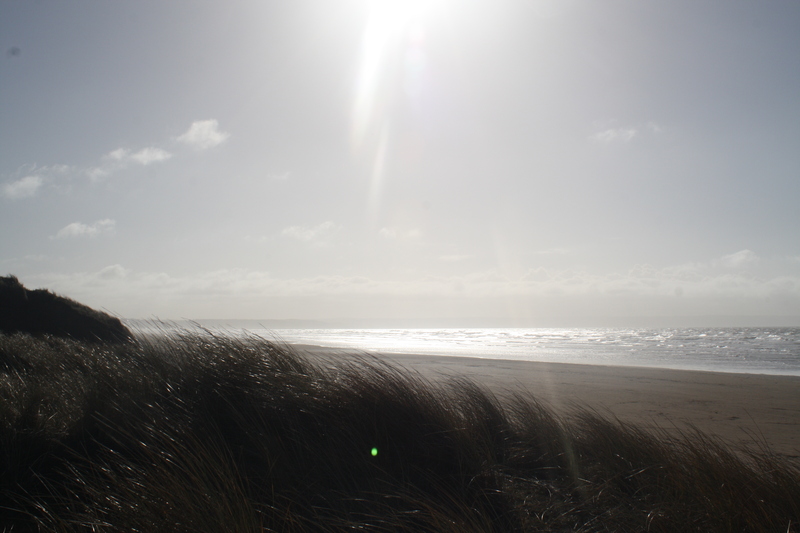 Saunton Beach is long, sandy and beautiful. 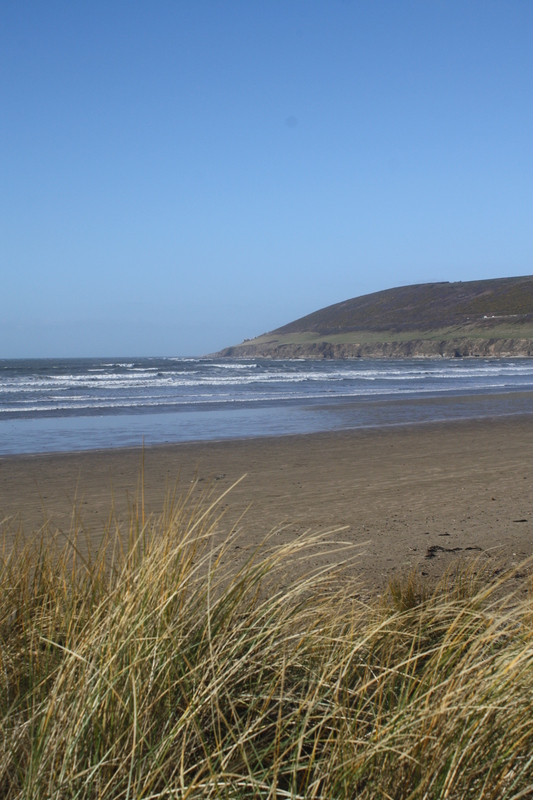 It has its own car park, which can be expensive in summer but is practical if you are bringing surfboards etc. There are toilets and showers and a small shop and a cafe, and above the beach on the cliff is the Saunton Sands hotel and a few holiday apartments. 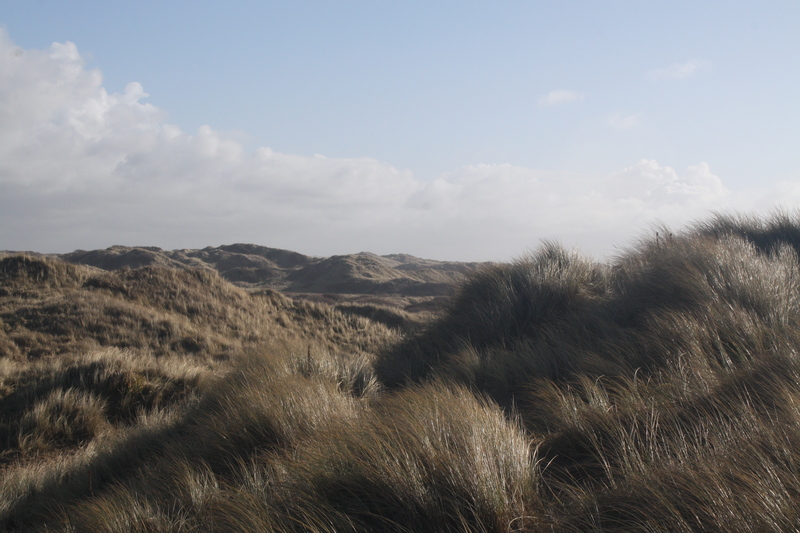 But other than that, it’s just stretching sand and dunes and ocean. 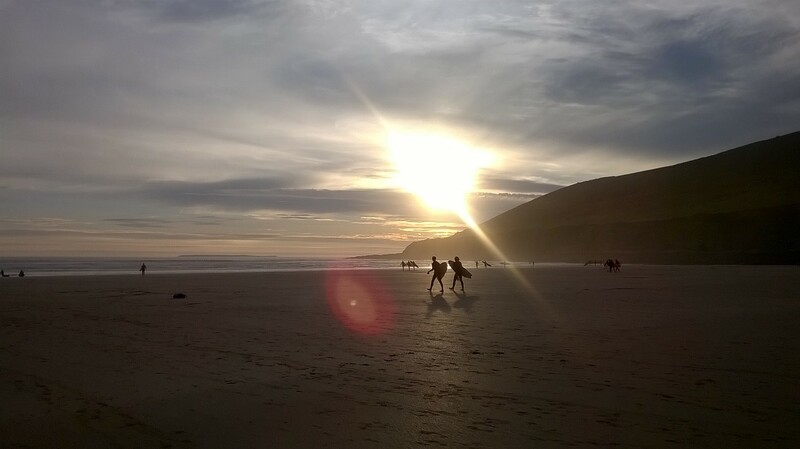 I love Saunton in the evening, when the sun is setting. There are usually a handful of others there, surfing or sitting around with friends, walking dogs or practising yoga. The sand is soft to walk on and the sea is its usual captivating self. Sea birds end up silhouetted against the sky, and Lundy island floats in the distance. The road that continues around the cliff from Saunton is probably one of my favourite roads, with stopping points where you can stand and watch and listen to the waves, the purple-green cliffs rising behind you.